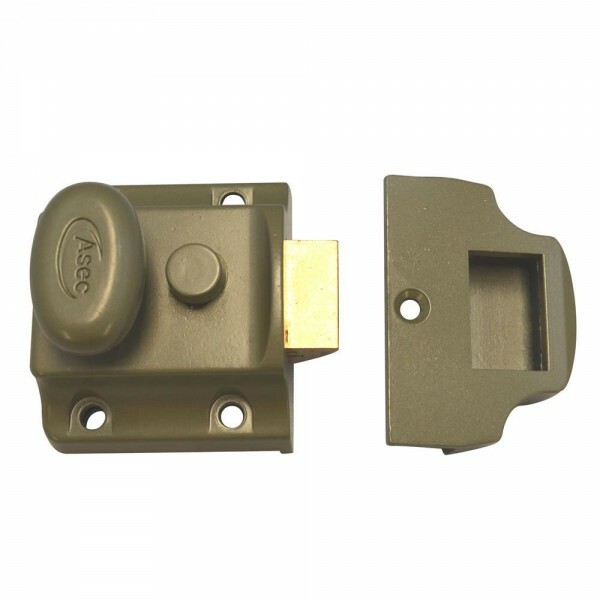 The Asec traditional non-deadlocking narrow style nightlatch automatically locks the door once closed, it is not deadlocking and is therefore ideal for most applications. Using the snib you can either hold the latch in the retracted position to allow free entry or in the locked position to avoid external manipulation. On external doors it should be used in conjunction with a British Standard mortice lock.